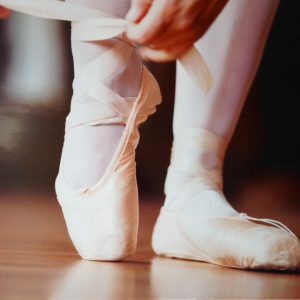 Don’t get me wrong I adore traditional Ballet, beautiful tutu’s, magical music, full of emotion….. 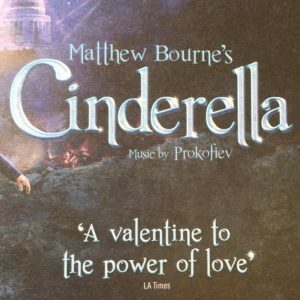 I also love the British choreographer Matthew Bourne’s unique ‘take’ on the classics. Along with his knowledge of dance and choreography, he really is a wonderful story-teller. 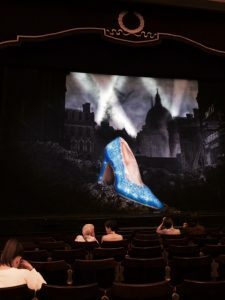 This production of Cinders is no exception – it’s a love story set in London during the Second World War. 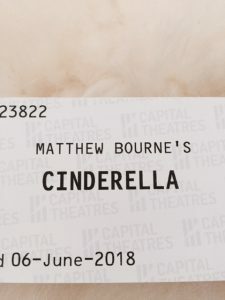 We were lucky enough to have fantastic seats with great views and to add that little bit of extra excitement who came and sat in the row in front of us…… Mr Matthew Bourne himself!!!!! It has to be said I was very tempted to reach out and say ‘hello’, gush gush but on this occasion I refrained. 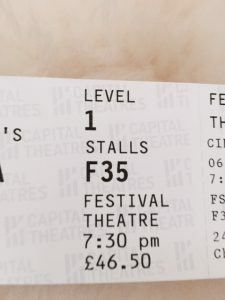 The show was fantastic, it was almost like watching a ‘movie’ rather than being in the theatre…. Beautiful costumes, outstanding stage sets & of course the perfect music which brings everything together. Instead of the traditional ‘Prince’, our male lead is an injured war pilot – many wonderful routines between our two principal dancers.. 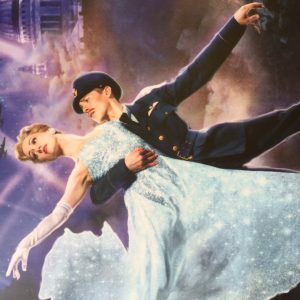 There was a definite ‘nod’ to old, Hollywood movies – a bygone era even though in contrast a lot of the dance moves were very contemporary..